Sheep Herding Test, and New Addition to the Family! This morning torwin_collie drove us out to Chilliwack for a herding instinct test, to see how Tobi, and Gambit (Cricket's Corgi) would do. Here are a couple video clips from today, of Tobi trying to figure out how sheep work. He was quite unsure and nervous in the beginning, but by his second chance in the pen he really started having some fun with it. Both of his parents were working sheepdogs, so we were curious to see if the herding instinct was strong in him. The instructor said that he definitely has the working drive, and just needs some guidance. So we'll be taking some sessions with her once a week, in the spring time, once the weather starts getting a bit better and the evenings start getting a bit lighter. In other news, we have a new addition to our four-legged family... a Bearded Dragon, that Tor rescued from a woman we knew who acquired him, but had no idea how to care for a reptile. 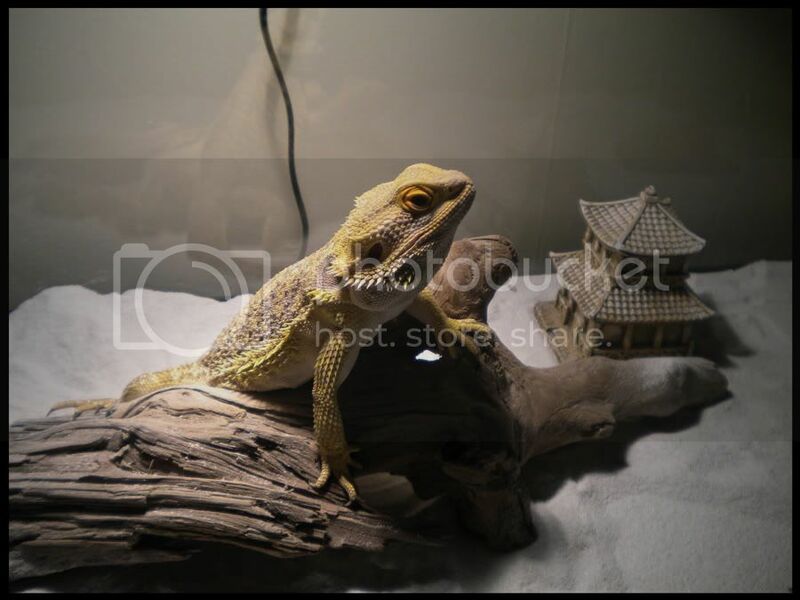 Tor used to breed and raise Leopard Geckos, and Bearded Dragons in the past, so we talked it over and took him in. Hey, out of curiosity do you remember Penny's neck size measurement...?